Speed test results in Dublin today. 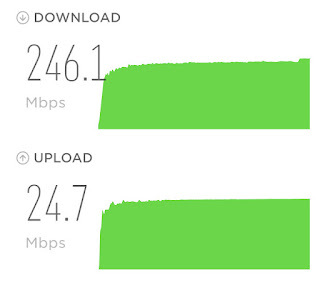 Living in Dublin with Virgin Media's excellent broadband service (see speed test result today at right) can lead to frustration when outside of Dublin. For the past few weeks I have been away from Dublin and have experiences "No Service" on my iPhone/iPad on many occasions. While in Canada I had purchased (€20) a one-month add-on of data for my iPhone which ran out in three days. I also experienced frustration with my iPhone not picking up some WiFi networks, while another phone beside me could. Many times I felt disconnected! This week's announcement by SSE that they are pulling put of the national broadband bid will mean bad news for many people in Ireland - especially those in rural areas. I travel to Wexford a lot and in the area where I stay, my iPhone's Virgin Media service (piggybacking on Three) is shite. I have a spare phone connected to Vodafone which offers 5-6 Mbps service - not bad, but obviously shite when compared to 246 Mbps in Dublin. This digital divide does no one any favours and simply increases frustration for rural communities. People living in the country need broadband in the same way they need telephone connections, water, electricity, and roads - it is a national right that simply must be subsidised by Government. 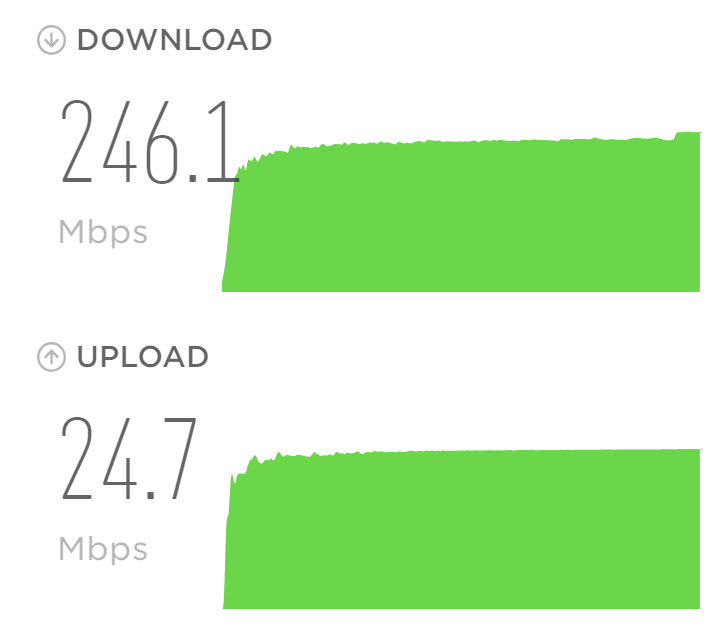 We take it for granted in Dublin that we can connect to anything - speeds are so fast that we really cannot tell the difference between 100 and 200 Mbps for normal usage. Yet our country fellow citizens try to get by with 4-5 Mbps.